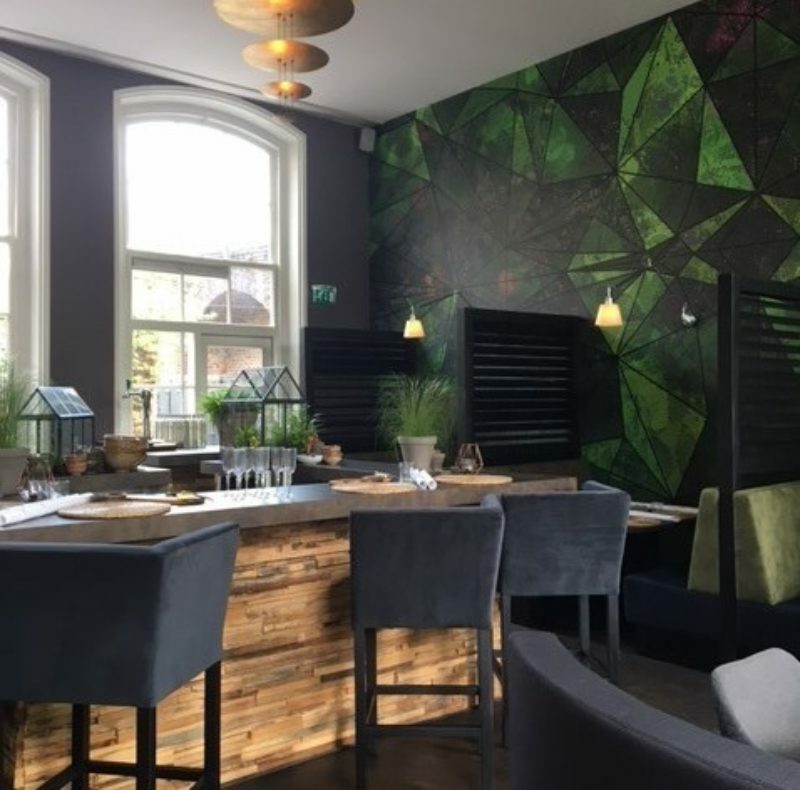 Traditional wallpaper makes way for material on which digital images can be printed, and that is very easy to attach to the wall by means of water, Ahlstrom EasyLife Spray & Up. We print the wallpaper in full colour. This means that every design is possible, and the room will get a unique look and feel. Our Durst prints pin sharp and creates warm colour explosions! It is extremely easy to use, and there is no wallpaper glue needed. You just spray the wall with water, after which the material can immediately be applied to the wall. In addition to the wallpaper being super easy to use and easy to remove in one piece, it is also environmentally friendly. We find durable solutions very important, both in our personal and business life. The choice for this material is a good one, both for our health and the environment. Wallpaper with PVC contains plasticizers, fluids that are added to make the material more flexible. After some time, the plasticizers are released from the material and end up in the environment, due to which the material loses its flexibility. PVC-free wallpaper doesn’t contain any plasticizers! Check out or projects to see what is possible with PVC-free wallpaper or request a free sample.